*Sleigh bells ring* Are you listening? Christmas time at Santa’s Village is here! 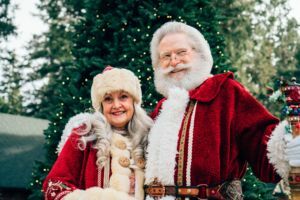 Beginning November 15, join us for an exciting season full of holiday entertainment and special experiences with Santa, Mrs. Claus, Arrow, and the rest of the Northwoods Characters. 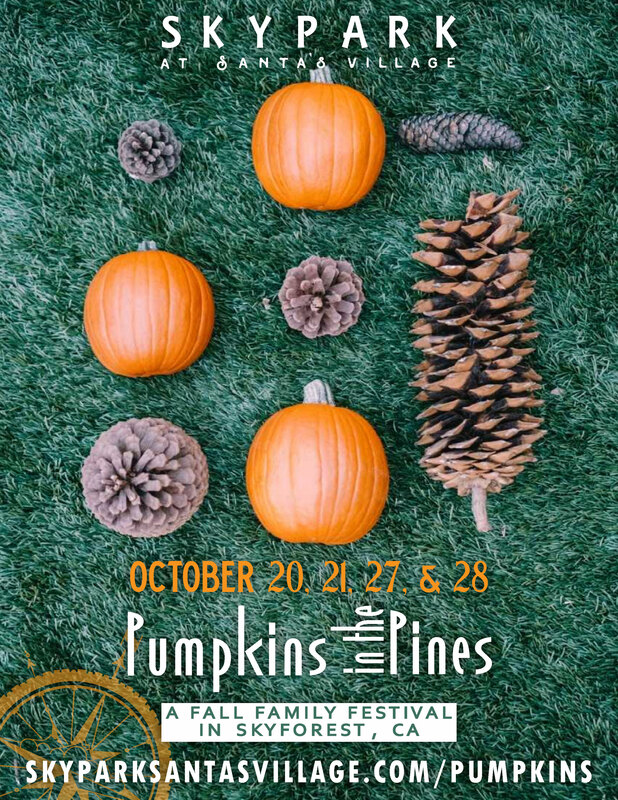 All attractions will be open (weather permitting) and are included with a Day Pass. There’s no better place to celebrate the merry season than inside Santa’s Park! 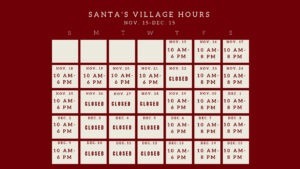 The Santa’s Village Christmas Experience will take place from November 15 through January 6. 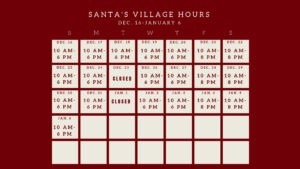 Check out our hours below and keep reading to see why SkyPark at Santa’s Village is the place to be this Christmas! It’s LIT!!! Enjoy an experience unlike any other as the entire Park lights up through the night. SkyPark at Santa’s Village is decorated in extravagant decor as thousands of lights illuminate the forest. Stroll down Candy Cane Lane and take in the beauty of a brightened Village. Watch and cheer as Santa and the Northwoods Characters march down Candy Cane Lane and light the iconic Christmas tree beside Santa’s house. 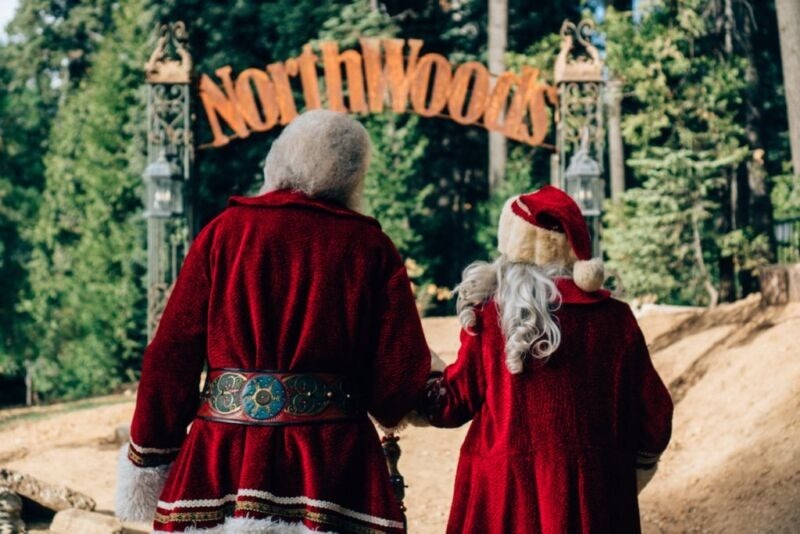 Gather around the tree after the lighting to take pictures with Santa, Mrs. Claus, Arrow, and all the other Northwoods Characters! 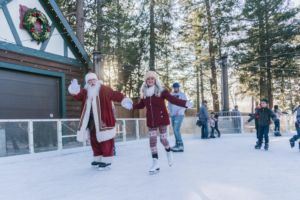 During our Santa’s Village experience, our Silver Bells Arena transforms from a roller rink to an ice skating rink! Rent some ice skates for no additional charge and practice your moves on the ice. Be prepared for ice shows over at the Silver Bella Arena as well! Check our Welcome House for information and times for ice shows on the day of your visit. Join Santa Claus for the most important meal of the day! Guests of all ages are invited to enjoy a fun filled, whole hearted breakfast party with Santa and his Elf family in his very own private dining room. This is a great opportunity for pictures with Santa and the Elves and to hand deliver letters to Santa. 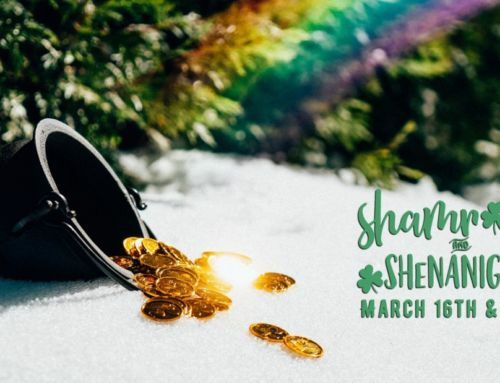 This event is selling out fast so click HERE to reserve your spot! 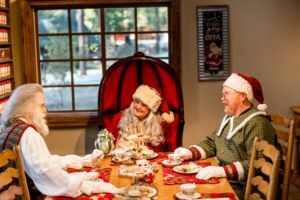 Join our delightful Mrs. Claus and her Elf friends in her special dining room for a very special tea party. 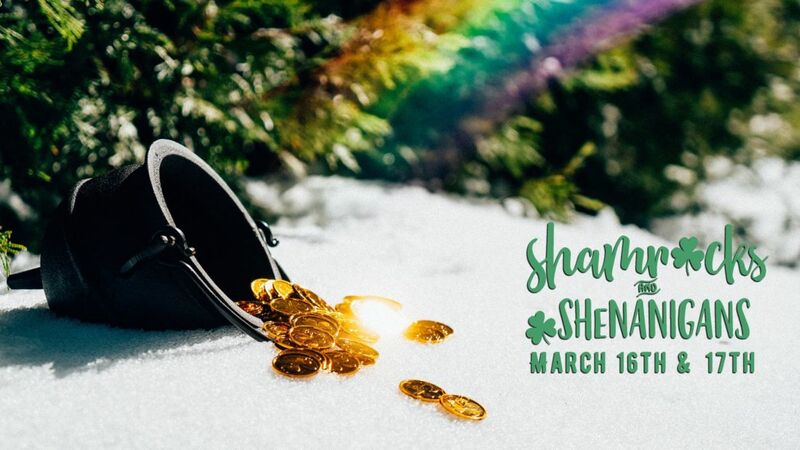 Enjoy an eclectic, fun filled afternoon of tea, dress up, and stories. Just like the fun Mrs. Claus has with her Elves! We will have a trunk full of fun accessories, like boas, gloves and hats to give the tea some extra flair. A variety of teas and yummy high tea treats will be served on Mrs. Claus’ impeccable china. This event is selling out fast so click HERE to reserve your 12:30 spot and HERE to reserve your 2:30 spot. 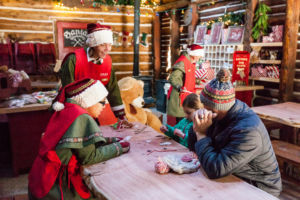 For an additional cost once you enter Santa’s Village, you can build crafts with Santa’s Elves during their special Crafting Classes in Santa’s Workshop. Build a wooden toy just like Santa and his elves craft all year long. These crafts are fun for the whole family! 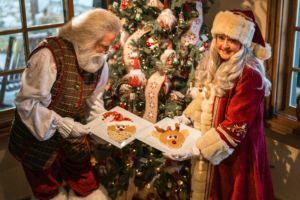 For an additional cost once you enter Santa’s Village, decorate delicious Christmas cookies with Santa’s Elves during their cookie decorating classes. Release your artistic side and channel your Christmas spirit! 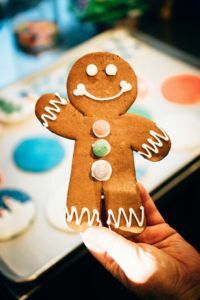 Learn special techniques as you decorate a miniature gingerbread house or a giant gingerbread man cookie. 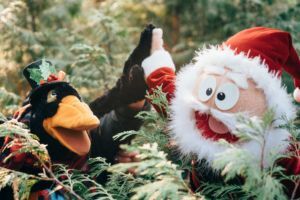 A delightful cast of characters invites you to a SkyPark at Santa’s Village Yuletide Puppet Show. Floki the Yeti, Ingrid, Astrid, Dori, Nori, and, of course, Santa all come together to tell three, light hearted tales centered around the jolliest of seasons. 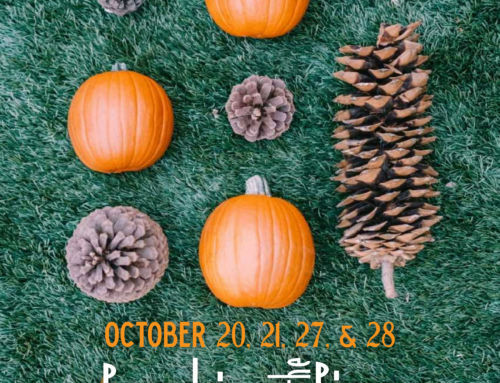 Check showtimes for our puppet show once you arrive to our Welcome House. 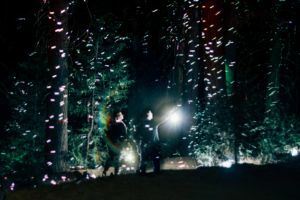 This Christmas, go on an interactive night walk through the Northwoods, a trail filled with thousands of lights that are completely solar powered. Our new Fantasy Forest of Lights is a trail that takes you through a world of lights deep in the forest.This immersive experience is perfect for guests of all ages and begins as soon as the sun sets, so make your way up to the Fantasy Forest after the tree lighting parade with Santa and his friends! 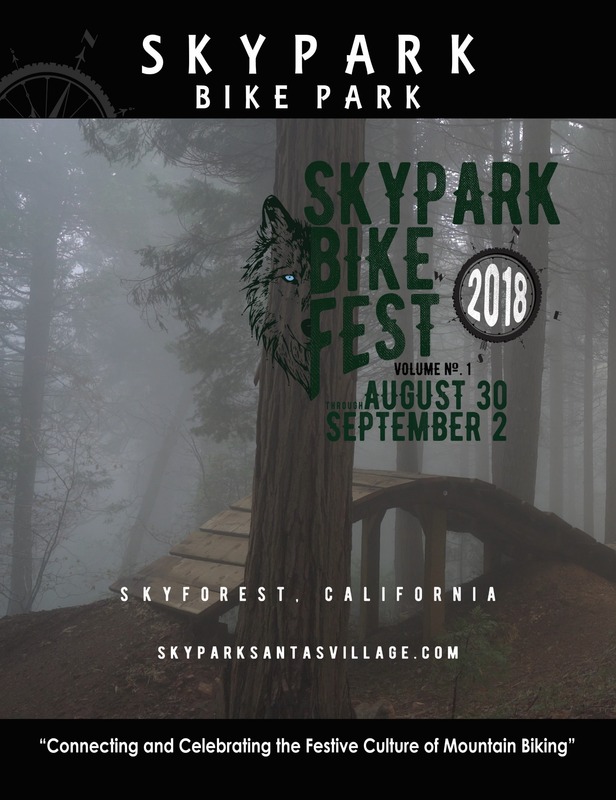 SkyPark Bike Park is encouraging riders to participate in Comet’s MTB Sprint on Sunday, November 25th from 10 am to 12 pm. Comet’s sprint to the finish starts at the Top of the World trail and takes the rider to the very bottom elevation of the Park. Complete this one mile trail as many times as you’d like for your best time. We’ll post live results behind The Pedal Pub so you can see where you stand against your competition. 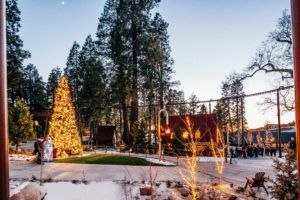 SkyPark at Santa’s Village is a one-of-a-kind Christmas themed adventure park located near Lake Arrowhead dedicated to “Making Spirits Bright”. This Park offers active families and friends a safe and welcoming place to get outside and enjoy nature. 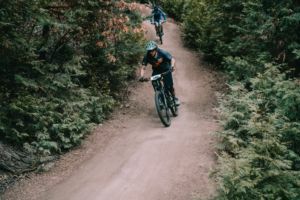 Our world class mountain bike park offers trails for every rider. In addition, we offer a different themed overlay, and during November and December, we transform the entire Park into Santa’s Village- The ultimate Christmas experience! 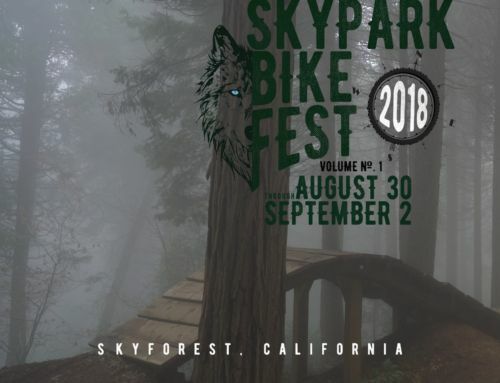 SkyPark Bike Park- Fun for the Whole Family!